There were many luminaries at the 1787 Constitutional Convention. Washington, Franklin et al. Often overlooked is the Preamble’s author, Gouverneur Morris. 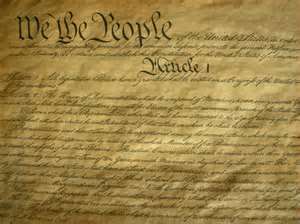 The Constitution’s Preamble has stood as the mission statement of the United States since the Constitution was made public and sent to the states for ratification in September, 1787. Nearly every American student has spent time memorizing the Preamble. The opening three words: “We the People” have provided the inspiration for the growing inclusiveness in the American body politic for over two centuries. Beyond being a mission statement that simply states goals, the Preamble lays out the fiduciary obligations of the United States government as an agent of the American people. The Preamble designates the People as the creators of the United States, and the United States as that creation has an obligation of loyalty to the People and a duty to follow the People’s instructions. The Constitutional Convention was called to order by George Washington on May 25, 1787 in Philadelphia. From then until September 8th the delegates labored to mold a national government that reconciled the needs of all the states and the national philosophy of the Declaration of Independence. These labors resulted in a document with 23 articles that had been amended multiple times since its presentation to the Convention by the Committee on Detail. These 23 articles had amendments and were not organized in a coherent fashion. In the end the work was completed in less than three days. The committee was appointed on the eighth and the Constitution was presented to the Convention on the twelfth. The ultimate document is credited to the pen of a single man, Gouverneur Morris. 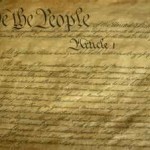 To the Constitution presented by Morris, there was but a single amendment. It changed the number of people represented by a congressman from 40,000 to 30,000. This was the only constitutional change to which George Washington lent his considerable prestige. 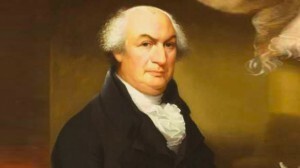 Gouverneur Morris was a New York native. Morris enrolled at King’s College, the future Columbia University, in 1764 when he was only 12. He graduated at 16 and received a master’s degree 19. On May 8, 1775 he was elected to represent his family estate in what is now Bronx County as a member of the New York Provincial Congress. While a member of the congress, he advocated turning New York into an independent state. This advocacy of independence was at odds with the loyalties of his family. In May 1776 he was chosen to coordinate New York’s defense measures with George Washington’s main army and the Continental Congress. In August 1776, the British seized New York City and his family’s estate. His mother, a British loyalist, assisted the British by giving them the estate for military use. After his mother’s actions he was no longer eligible for membership in the New York state legislature. He was appointed to be a delegate to the Continental Congress. In 1778 Morris was a signer of the Articles of Confederation. In 1779, he lost re-election to Congress. He moved to Philadelphia and worked as a lawyer and merchant. At age twenty-eight, Morris’s left leg was shattered and replaced with a wooden peg leg. In 1787 he was recommended as a delegate to the Constitutional Convention by no less than George Washington. At the convention he gave more speeches than any other delegate, a total of 173. Morris’ contributions to the Revolution and the early days of the United States went well beyond writing “We the People. For more on Morris’ life and contributions see GOUVERNEUR MORRIS, Pennsylvania.